Pete was a partner in the Fort Myers firm of Henderson, Franklin, Starnes, and Holt from 1977-1985 where he primarily represented the insurance industry in a wide variety of cases with his concentration being in the defense of workers' compensation claims. In 1986 the firm of Burkert & Hart, P.A. was formed, where Pete maintained a full practice in the field of worker's compensation, personal injury, and employment matters. Pete left the firm on January 1, 2008 after 22 years. He is currently not engaged in the active practice of law. 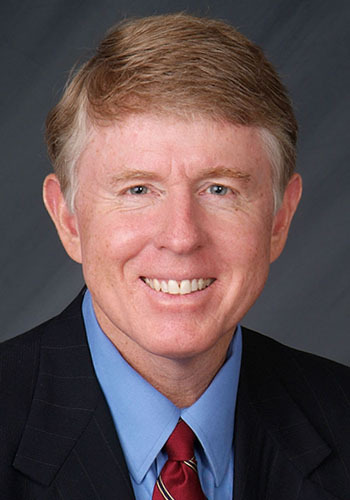 During his years of practice, Pete held many leadership roles in his profession including Chair of the Workers' Compensation Section of the Florida Bar and President of the Florida Worker's Advocates. Pete has been Board Certified in Workers' Compensation since 1988. Although primarily a workers' compensation lawyer, Pete has litigated at the State and Federal level in the areas of personal injury and employment, having tried cases of these types at both Court levels. He has further litigated a wide variety of other claims including consumer issues, eminent domain, and business issues.